I finally hit my SXSW stride on the last day of full-tilt excess. Naturally. Maybe that’s because this day was an unusual one. I spent the afternoon working rather than soaking up the free shows (and beer) at various parties around town. Lack of beer = better coping. Hmmm. Wandering the convention center like a lost lamb around noon, I ran into my 2 p.m. interview subjects, Finnish band Husky Rescue. So I spent the next half-hour in the pressroom with them trying to understand my English questions and me trying to understand their English answers. They told me about visiting local BBQ joint “Salt Lick.” “South Lake” is what I originally scribbled in my notebook. Fortunately, things got better from there. Then we piled into cabs and headed to South Austin for a photo shoot. Poor Finns—thus far their entire experience of the U.S. was a late flight into Dallas followed by an all-night drive to Austin, then four days of getting pureed in the SXSW blender. As we passed a Whattaburger on the corner, Huskies drummer Anssi Sopanen shook his head and then murmured, “This is the real deal.” Mmmmkay. Actually he hadn’t seen anything yet. Our photo shoot was in the backyard of an Austin road-sign and kitsch-ephemera- restoration and reproduction business called Roadhouse Relics. Imagine five bemused Scandinavians standing amidst the finest rusty remnants of American trash-culture and you have one hell of a photo shoot. Apparently they thought so, as well; the pictures photographer Jeff Fasano captured only comprised about a quarter of those snapped. The band’s digital cameras popped off the rest. Our afternoon was capped by a frustrating, 30-minute wait for cabs to take us the mile-and-a-half back to downtown. When this band is famous, and we’re sitting around an elegantly appointed Manhattan hotel suite, I’m sure we’ll all have a big laugh about it. Seeking to feed my dirty wireless-internet addiction, I popped into Maggie Mae’s (after I managed to schlep back to East Sixth Street) where a showcase of bands from Alberta, Canada, was taking place. The background music for my typing? The Swiftys, a somewhat-generic-but-fun, bouncy alt.country band; and Whitey Houston, runners-up in the SXSW Best Band Name Contest. (The winners? Austin’s I Love You But I’ve Chosen Darkness.) Alas, The Houstons were a bludgeoning fuzz-bass-and-drums combo, augmented by a percussionist dolled up like a fem-bot in a hot pink mini-dress. Jack and Meg White, I love ya, but what have you wrought? The evening began at Antone’s with Norway’s Kings of Convenience. I feel for quieter, acoustic acts like the Kings at musical gluttonfests like SXSW. They’re best in front of rapt, attentive audiences who paid to see only them. (Like at The Living Room in NYC, Eddie’s Attic in Atlanta, or Hotel Café in L.A.) Instead, at SXSW bands are often greeted by leather-jacketed, pony-tailed types who use them as musical wallpaper for flirting with college-aged waitresses. Fortunately, the Kings had drawn an audience who were largely there to hear them, and these listeners in turn helped shush the rest. I already knew the harmonies would be lush, mellow and tasty, but I’m not sure I really appreciated the intricacies of the group’s acoustic guitar work until I saw it live. Most who write about music are either in bands or have enough past musical experience to demonstrate they ought to be writing, not playing. Put me and my bad Depeche Mode imitations in the latter category. So I may just be saying this as a former Korg Poly-800 programmer, but it’s awfully nice to see synthesizers re-emerge as a lead instrument. The West Indians play straightforward pop rock, which gains its mind-expanding component via the use of synths and spacey production. I was wondering whether this studio brew would turn skunky in a live environment. The answer: not a chance. If anything, West Indian Girl gains by emerging from its L.A. studio hermitage. The band’s final song at Antone’s, an extended version of “What Are You Afraid Of?” brought equal parts rock energy and head-nodding aural texture. Thumbs up and fifteen bucks for a live encore very soon. After a quick pedi-cab dash to Crowne Plaza, I caught one tune from singer/songwriter Jackie Greene. I heard very little, but I liked what I heard –- confessional songs with a Dylanesque vibe. It’s a style that’s always welcome if well-executed. Next it was up the street to Flamingo Cantina for Bio Ritmo, who I can say with confidence is the single best salsa band to ever come out of Richmond, Va. I’d last seen them almost 10 years ago, and noticed a few personnel changes, but they brought the groove I’d walked in the room for. Almost the entire room was dancing. With my wife at home in Atlanta, I didn’t feel right mixing it up on the floor so I sat in the bleachers, sipped a rum punch, puffed a stogie and reflected on how wonderful life can be. This band definitely has that effect. I did dance the few blocks up to Red-Eyed Fly though, to stand in line for Jesse Sykes and The Sweet Hereafter. Alas, Nada Surf was due after Jesse and company, so the wristband line stretched the distance of a kickoff returned for a touchdown. (A deep one, at that.) And although I was first in the badge line, the building was right at its fire code capacity and they weren’t letting in anyone. To ratchet up the frustration a few notches, most of the crowd wasn’t even there to hear the dusky alto of Ms. Sykes. So as I writhed in the line, I could peer through the door and watch a prattling bunch of socializers ignore the reverbed twang and whispered vocals filling the room. At last I made it inside just in time to watch Sykes—Crystal Gayle hair and all—say goodnight and leave the stage. At least I have an April 20 date in Atlanta to anticipate. So after spending half an hour gaining entrée into the room, I immediately left to keep my date with Hasidic reggae/rapper Matisyahu at Buffalo Billiards. That’s right, Hasidic, as in Orthodox Judaism of the Crown Heights, Brooklyn variety. (Given Matisyahu’s love of hip-hop and beatboxing, some have also dubbed him “Dr. 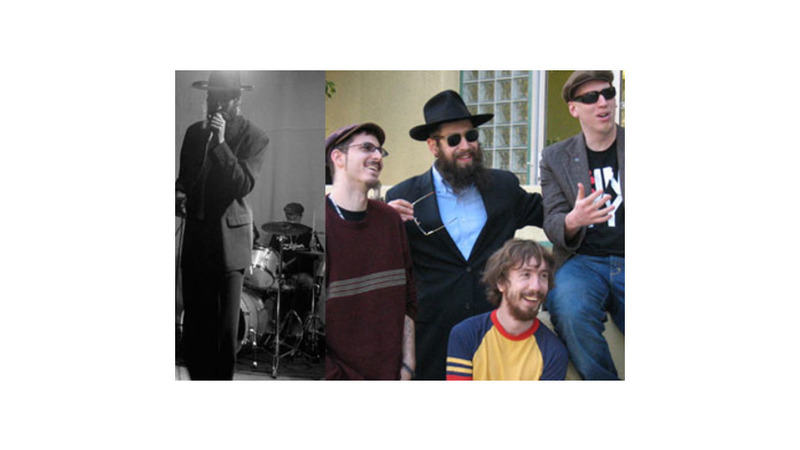 Dreidel.”) It’s definitely a different spiritual base for reggae than the usual Rastafarianism, awash in its cloud of herb, but it actually works. At least, it works once you get comfortable with what would usually be coming from a dreadlocked Jamaican emanating instead from a bearded Son of Abraham in a black suit and brimmed hat. It helps that Matis has assembled a versatile band, capable of rocking out island style, noodling like Phish or kicking a hip-hop vibe. The show got so heated that halfway through, Matis slung his water pitcher all over the punters down front who didn’t seem to mind one bit. How can you top that? You can’t. Fitting, then, that this is how my “virgin” SXSW ended. A few cheesy T-shirts later, I’d bid a fond farewell to East Sixth Street, vowing to return in a year’s time.